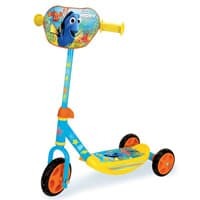 You can grab a free Smoby Disney Pixar Finding Dory 3 Wheel Scooter from Toys R Us and it is usually worth £14.99. All you have to do is register for a free account on TopCashBack website and then you will be taken to the product page. Buy this product as usual and you will receive a 100% cashback from TopCashBack within 14 days. Click on “GET IT HERE” button to visit the registration page and then create a free account to get started.